Who do you want to be? Look just like Anna from Disney's Frozen while you cook! 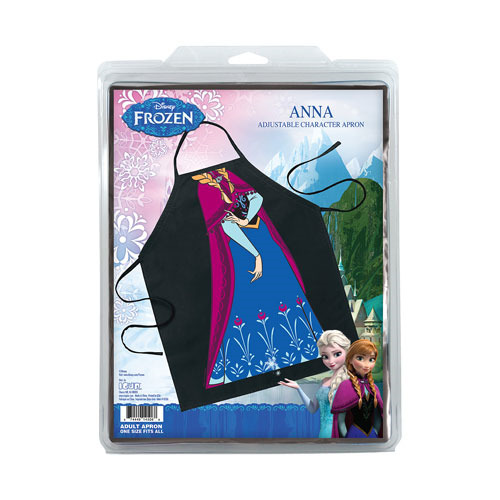 This Disney Frozen Anna Be The Character Apron features an image of the young princess' dress and braids. Adjustable ties make this apron one size fits most. Measures 25 1/2-inches wide by 31-inches long. Ages 14 and up.